Almost tax-free Andorra, fuel tourist hotspot Luxembourg and more-east-than-many-people-realise Austria vie to sell Europe’s cheapest fuel. Plus a round up of Europe’s most expensive petrol and diesel. 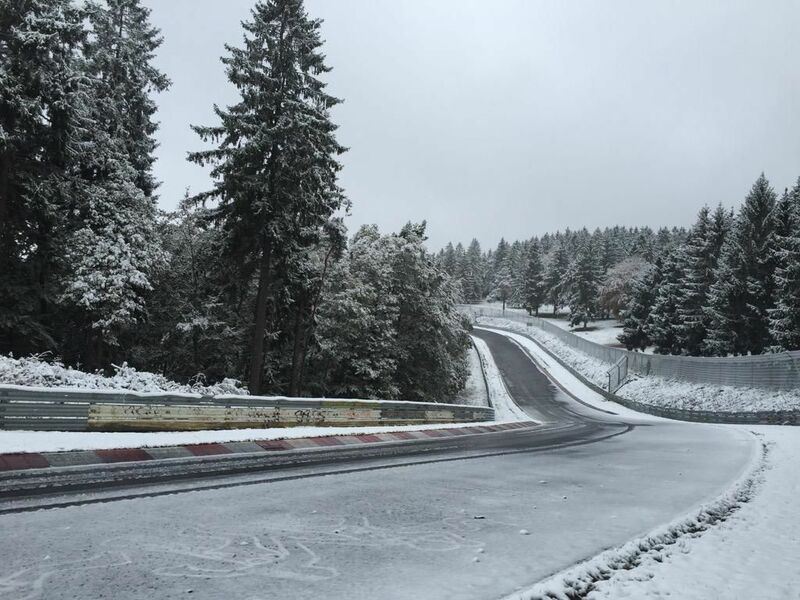 Also, early snow is likely to see many mountain roads close in the next couple of days. Germany border controls will be in place for at least another two weeks. Italy joins several other countries in banning smoking in cars carrying children. Highways bosses insist the new no-barrier M25 ‘Dart Charge’ is working. Andorra cheapest but Austria now undercuts Luxembourg. 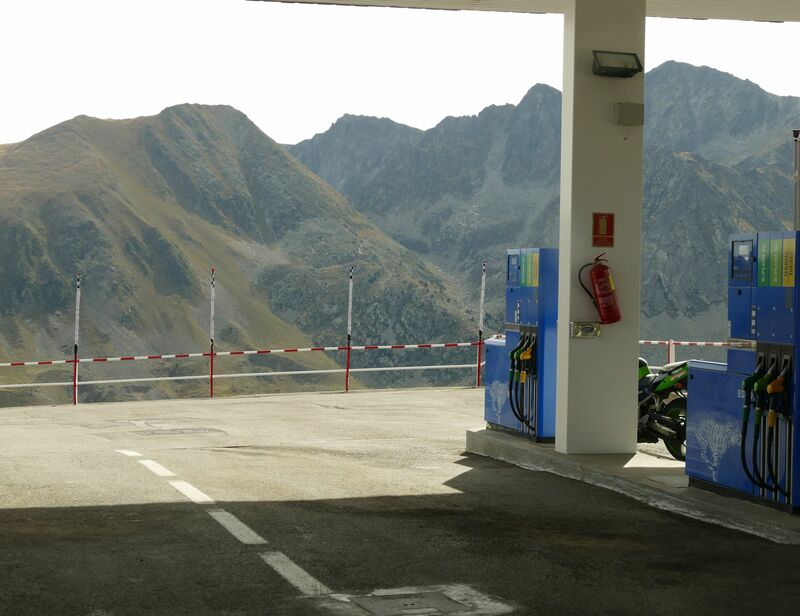 Andorra is well known for cheap fuel but, even so, it was still a shock to pay just 86c per litre for diesel last month. This compares with €1.109 in neighbouring Spain and €1.115 in France. Unleaded95 is a bit more expensive at €1.054 (Spain €1.189, France €1.309). It’s so cheap because well-to-do Andorra doesn’t really do tax. It only got round to income tax for the first time earlier this year, for instance. If only it was easier to get to. Sitting in the middle of the eastern Pyrenees, access is difficult. There are a couple of minor road border crossings in the east but otherwise the only ways in and out are the N20/N22 from France and the N-145 from Spain. As well as the N20 Puymorens Tunnel being very inconveniently closed for refurbishment until November – meaning a spectacular but slow detour over a mountain – the N20 itself is being dug up at the moment too. Aside from that, drivers have to contend with sometimes lengthy queues at the border. Andorra is not a member of the EU but is part of the Customs Union, albeit with restrictions on the amount of duty free goods tourists can take out. When we were there the French border guards questioned every driver. Apparently it is the same on the Spanish side. Meanwhile, further north, Luxembourg is so far successfully resisting pressure from the EU, the OECD and Greenpeace, among others, to raise fuel taxes. The Grand Duchy currently takes up to €2bn each year from ‘fuel tourism’ (including alcohol and tobacco) in a sector which employs 2,400 people across 240 filling station hypermarkets. Three quarters of the 2.6 billion litres of fuel it sells each year are used outside the country, mostly by truck drivers according to figures from Wort.lu. Nevertheless the savings are not as big as they used to be compared to neighbouring countries. As of yesterday diesel increased to €0.991 per litre (Belgium €1.185, Germany €1.159) and unleaded95 at €1.131 (Belgium €1.369 and Germany €1.369). It’s less clear why Austria has such consistently inexpensive fuel (except for it neighbouring traditionally-cheap countries like Hungary, Czech Republic, Slovakia and Slovenia). In recent years Austria has level-pegged, give or take, with Luxembourg but at the moment – with diesel at €0.987 and unleaded on €1.069 – for the first time it is undercutting on both counts. Most expensive diesel: UK, Norway, Iceland, Malta, Italy. Switzerland still expensive but Netherlands slipped down to tenth place. Most expensive unleaded95: Norway, Netherlands, Denmark, Italy, UK. Greece and Portugal are both looking relatively expensive at the moment. All prices are indicative only, per litre, taken from fuel-prices-europe.info, updated daily. Mainly averages except Andorra, Belgium and Luxembourg where prices are regulated. roundup: GERMANY. Border controls – mainly with Austria – have been renewed until 31 October reports AFP. ‘The situation at the border is such that we cannot do without them. We need to return to an orderly handling of refugee policy,’ said a govt spokesman. The borders were first reinstated on 13 September. Under the EU borderless Schengen Agreement, after an intial ten days controls can be renewed every twenty days for a maximum total of two months. Traffic delays reached up to an hour on the three motorway crossings between Austria and Bavaria last week but have calmed in recent days, except for last weekend. Borders are a bone of contention between the Bavarian state administration and the federal government. The former is threatening a package of measures to stem the flow of migrants. If so, Austria says it would respond with tighter controls of its own. The Slovenian foreign minister said today his country would follow suit too. ITALY. Smoking will be banned in cars carrying children and pregnant women reports The Local Italy. The new rules are due to take effect at the end of the year and bring Italy into line with Cyprus (banned in cars with children under the age of 16), France (under 12s), and England and Wales (under 18). Similar bans are being considered in Finland, Ireland and the Netherlands. DARTFORD CROSSING. Journey times are down by more than half since the introduction of free-flow tolls at the M25 Dartford Crossing insists Highways England (via Kent Online). The new charging arrangement, which replaced barriers with a number plate recognition system, apparently saves seven and a half minutes southbound and three and a half minutes northbound. The ‘Dart Charge’ needs to be paid by midnight of the following day, either by phone or internet. The new system has been severely criticised for poor administration, including fines sent out despite the charge having been paid, and poor recovery from foreign drivers. ‘We still have more work to do,’ admits Highways England Director Nigel Gray.